Today Professor Susan Hardman Moore, Professor of Early Modern Religion, will deliver her inaugural lecture entitled ‘Time’ at 2pm. Professor Hardman-Moore’s lecture features a number of seventeenth century rare books from the New College Library collections, which will be on display in the Funk Reading Room after the lecture between 3-4.30pm. 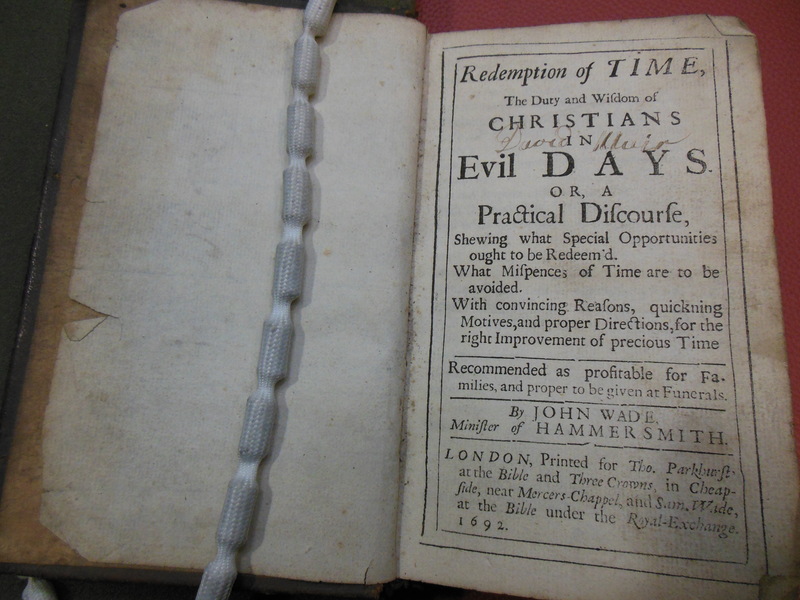 The titles include John Wade’s The Redemption of Time (1692) and the The Practice of Piety (1672) by Lewis Bayly. 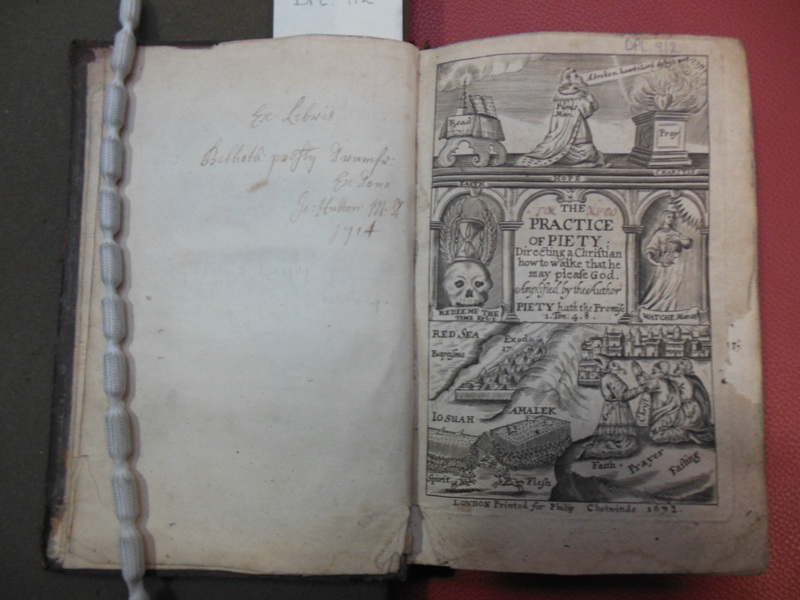 The Practice of Piety is part of the recently catalogued Dumfries Presbytery Library, and is inscribed Ex Libris Johannes Hutton, identifying it as part of the original bequest of 1500 volumes from Dr John Hutton. 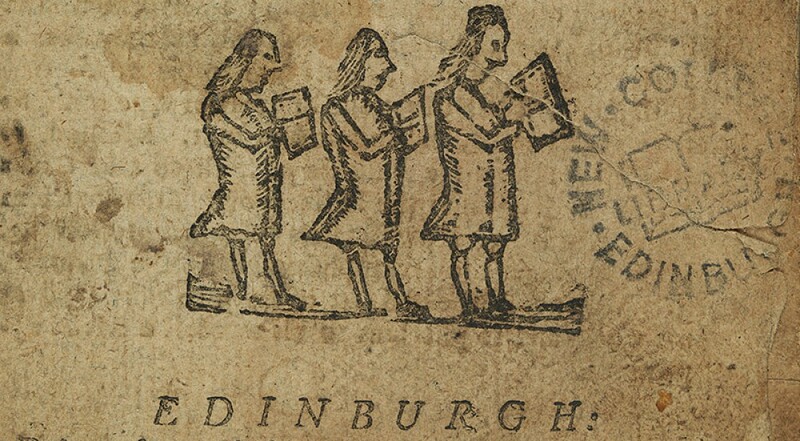 This entry was posted in Divinity events at the University of Edinburgh, Rare Books at New College Library and tagged Divinity, Dumfries Presbytery Library, Funk, new college library, rare books, seventeenth-century, University of Edinburgh by cloverodgers. Bookmark the permalink.